Cliff grew up in Yuba City/ Sutter area, the son of a three generation farming family. After traveling throughout the world, base to base, with his military family, Cliff settled in Chico where he raised his family and attended college and law school. Professionally, Cliff has always worked in law enforcement. Soon after getting his law degree Cliff moved to Nevada County where he became a Probation Officer with Nevada County’s Probation Department. 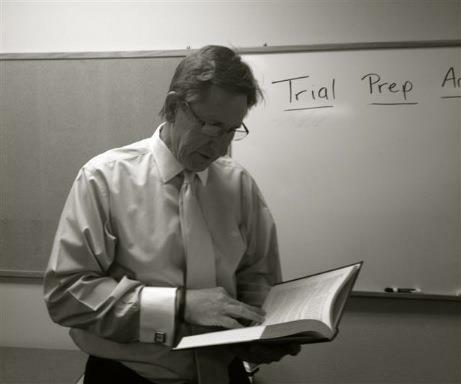 After several years as a probation officer Cliff realized his calling was to be a prosecuting attorney. He went to work in neighboring Sutter County as a prosecutor and later accepted a position in Nevada County's District Attorney's Office. In 2006, after a successful career as a prosecuting trial attorney in two different DA's offices, Cliff ran for the elected position of Nevada County’s District Attorney. Cliff was re-elected in 2010, 2014, and 2018. 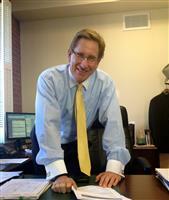 Cliff maintains his passion for the law and justice and takes pride in serving the citizens of Nevada County. His focus remains on keeping the community he loves safe. Cliff feels it is important for the modern chief prosecutor to be more than just a name on a door, the District Attorney needs to be a participating and proactive member of the community, and accessible to all. Cliff is deeply involved in the community at all levels. Cliff's involvement ranges from supporting High School football and other sports, Big Brothers Big Sisters, NEO Youth Program, Community Beyond Violence (formerly the Domestic Violence and Sexual Assault Coalition), NAMI, Crime Victims United, Every 15 Minutes (program to raise student awareness about driving fatalities in High School), Community Recovery Resources (CORR), Nevada County Law Enforcement and Fire Protection Council, raising money for Multiple Sclerosis and Breast Cancer, to teaching classes about personal integrity in High School, to name just a few. Cliff believes that it is important to remember that the job is not just applying the law but, more importantly, seeing that justice is done in every case. When not tending to the duties as District Attorney, Cliff is an avid water skier, snow skier and bike enthusiast and takes every opportunity to enjoy the surrounding lakes and mountains with his wife Katy and their four grown children. 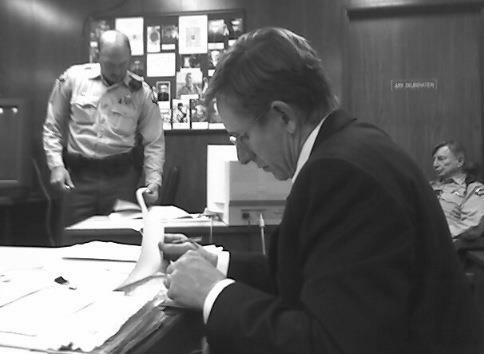 Dr. Terry McAteer talks to Cliff about family and life outside the DA's Office.